EPFO Jobs Recruitment 2018 – Audit , Assistant Director & Audit Officer 76 Posts!!! 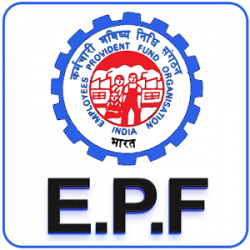 EPFO Jobs Recruitment Notification 2018.Employees’ Provident Fund Organization (EPFO) inviting applications for the positions of Auditor, Assistant Director and assistant audit officer jobs.Interested and Eligible candidates can apply for the positions. Last Date for Submission of Application is on October 23rd, 2018..
Total number of posts to be filled in EPFO is 76. Candidates those who are officers of employees provident fund organization/ central government/ state government holding analogous posts on regular basis can apply. 56 years is the maximum upper age limit for candidates to apply. EPFO accepts applications only through offline mode. 23rd October 2018 is the last date for candidates to submit applications. https://epfindia.gov.in/ is the link for candidates to download application form and send to below given address. Shri Sanjay Bisht, Regional Provident Fund Commissioner (HRM), Bhavishya Nidhi Bhawan, 14 Bhikaji Cama Place, New Delhi-110066. Previous articleEMIS வலைதளத்தில் மாணவர்களின் புகைப்படங்களை கணினி இல்லாமல் மொபைல் மூலமாக பதிவேற்றுவது எப்படி? Next articleSchool Morning Prayer Activities – 22.09.2018 ( Daily Updates… )!!! இந்திய புள்ளியியல் கல்வி நிறுவன மாணவர் சேர்க்கைக்கான நுழைவு தேர்வு!! !